Speak King Application is a brilliant solution for those who want to improve their speaking and pronunciation skills. 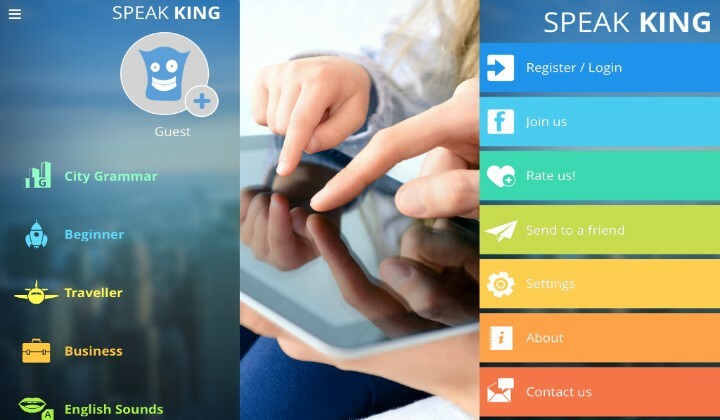 Speak King Application features: – 5 categories; – 52 video demos of English sounds; – 139 lessons; – 783 dialogues; – 6264 sentences; – 1706 keywords. Download the application and: – learn new words and grammar constructions; – get instant feedback on your pronunciation; – compare your pronunciation with a personal mobile tutor’s speech; – take fun quizzes to check your English skills. Try it right now to speak like a King!